BEIJING - China and Japan capped a rejuvenation of ties with agreements on everything from currency swaps to ocean rescue Friday, in a thaw that comes as U.S. President Donald Trump presses for better trade terms with both nations. 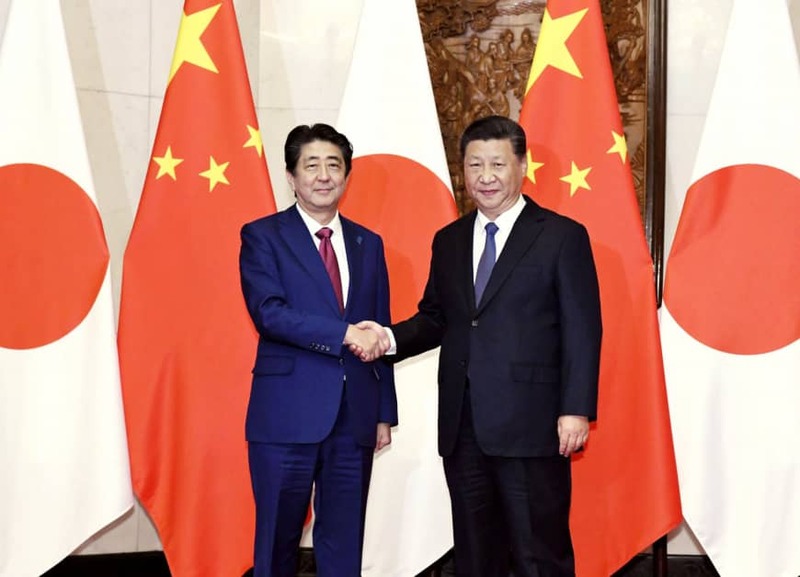 “I would like (our countries) to cooperate with each other to contribute to the peace and security of the region and the world,” said Prime Minister Shinzo Abe during a meeting with Chinese President Xi Jinping in Beijing. “I want to start a new era for Japan and China with Mr. Xi,” he added. 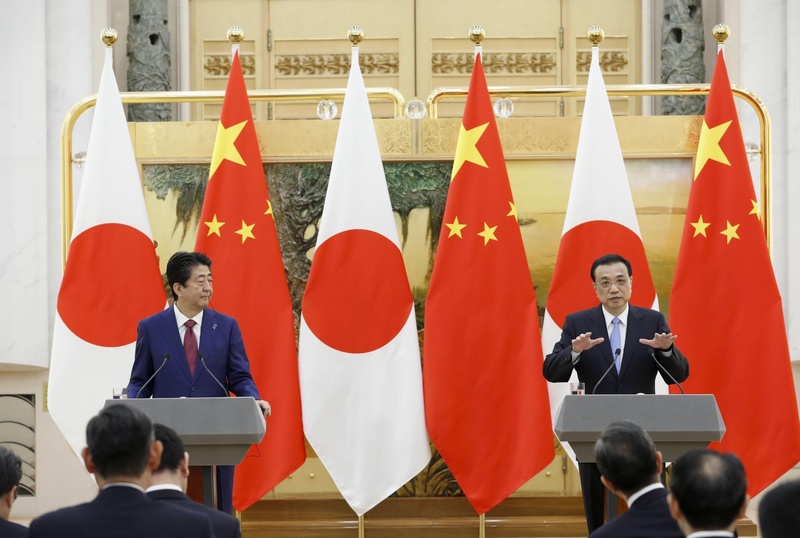 Abe became the first Japanese prime minister to make an official visit to China in seven years, as Asia’s two largest economies sought to play down disagreements that have hindered relations for decades. Ties between Tokyo and Beijing had been in their worst state in decades until late last year due to a territorial row in the East China Sea. During the meeting, Xi said he will “consider seriously” Abe’s invitation to visit Japan next year, a Japanese official who briefed reporters said. 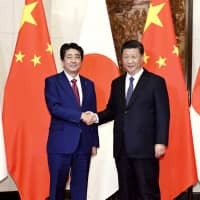 Abe and Xi also agreed to reinforce communication to avoid conflicts, the official said, apparently referring to the disputed Senkaku islands. Japan has already announced it will discontinue its 40-year-old official development assistance program to China. By bolstering investment in other countries, the governments of Asia’s two biggest economies will aim to form a new model of economic cooperation between them. 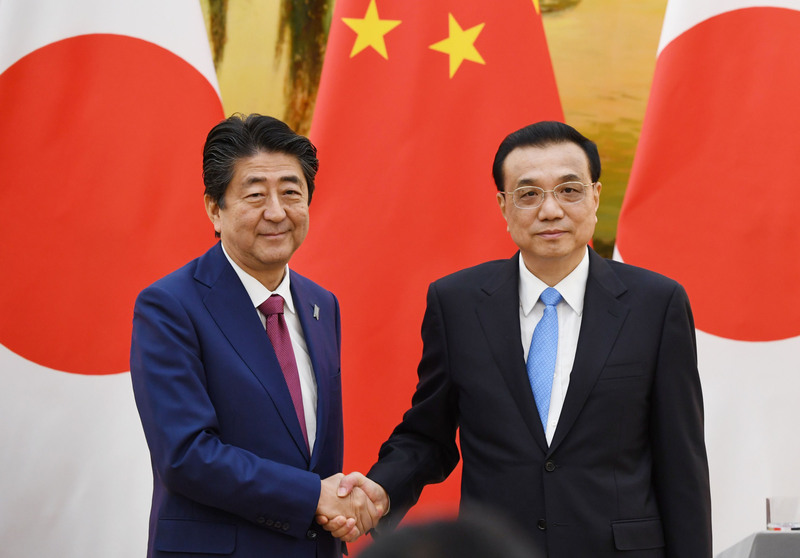 In Beijing, Abe and Li also reached agreements to start talks about cooperation in state-of-the-art technology and protection of intellectual property rights as well as to resume their currency swap deal of up to ¥3.4 trillion for times of financial emergency. Since earlier this year, Japan and China have been trying to boost economic ties as U.S. President Donald Trump has either threatened tariffs or implemented them in an attempt to curb huge U.S. trade deficits with both countries. “Especially regarding our economic and trade cooperation, we earnestly want to lift it into a new phase,” Li added. Abe and Li agreed that Japan and China will proceed with free trade, in an apparent warning against Trump’s trade protectionism. 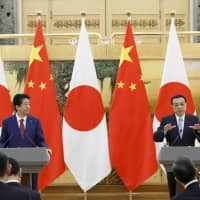 Both countries, meanwhile, confirmed the importance of cooperation between them to achieve the denuclearization of North Korea, with Abe saying Tokyo and Beijing will “fulfill (their) responsibilities” for peace and stability in East Asia.Abe also said China has promised to consider, based on scientific grounds, relaxing its ban on Japanese food imports that was imposed following the 2011 Fukushima nuclear crisis, which was triggered by devastating earthquake and tsunami disasters. As a symbol of friendship, Japan and China also agreed to speed up talks for another giant panda to be leased to a zoo here. For years, Tokyo and Beijing have been mired in a territorial spat over the Senkaku Islands in the East China Sea. The group of uninhabited islets, which are called Diaoyu in China, are controlled by Japan but claimed by Beijing. Tensions particularly intensified after the government of former Prime Minister Yoshihiko Noda, Abe’s predecessor, brought the Senkakus under state control in September 2012. But the situation has changed recently, as this year marks the 40th anniversary of the signing and entering into effect of the Treaty of Peace and Friendship between Japan and China. 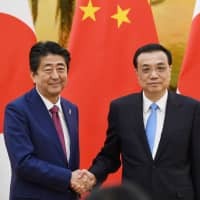 Abe is accompanied on the trip to Beijing by Foreign Minister Taro Kono, Economy, Trade and Industry Minister Hiroshige Seko and a large delegation of business leaders.